The Kindergarten transition process is undeniably daunting for families of special needs children—and New York City’s massive bureaucracy doesn’t make it any easier. A few years ago, our founding partner, Regina Skyer, published a handbook for parents (How to Survive Turning 5). And every year, we hold free legal education workshops so that as many parents as possible can learn how to navigate the so-called “Turning Five” process in New York City. This year we are offering two free events in October (one in Brooklyn, one in Manhattan). These workshops are designed for parents of preschoolers and interested special education professionals. We will go over independent evaluations, school applications, public program options, IEP meetings, hearings and appeal procedures, and more. We will also answer as many individual questions from attendees as time allows. Please RSVP via the registration page on the Music Therapy Parent Talks page on the Brooklyn Conservatory of Music website. Limited spots are available. Please RSVP via this Eventbrite link. Limited spots are available. Many of you are already leading the pack in the marathon that is the Turning Five process. Maybe you attended a turning five talk (or two) or battled the crowds at the special needs school fair. Perhaps you have completed or scheduled a neuropsychological assessment and toured a dozen or more schools. To take the tired marathon analogy further, you’ve hopefully learned to pace yourself. But as 2017 races to close, it’s a good idea to get a handle on what’s still ahead. First, if you are applying to special education private schools or a special program (ASD Nest, etc.) get those applications in as soon as you can. Many of the private schools and special programs have hard application deadlines of December 31st, and the ones with “rolling admissions” won’t have spots forever. If you are waiting for progress reports or a neuropsychological evaluation before you submit your child’s application—don’t. Even if your application is “incomplete” without some required document, unless the admission staff specifically tell you not to submit incomplete applications it’s usually better to send in what you have and indicate that a final report from Doctor Slowpoke or a quarterly progress report from Classroom Teacher Swamped is forthcoming. Second, pay attention to the NYC Department of Education’s kindergarten process and make sure you are on top of cooperating fully. In October, the NYC Department of Education’s Special Education Office sent out an important letter to parents of preschool children with IEPs who will be “turning 5” during the 2018 calendar year, and who are expected to enter kindergarten in September 2018. 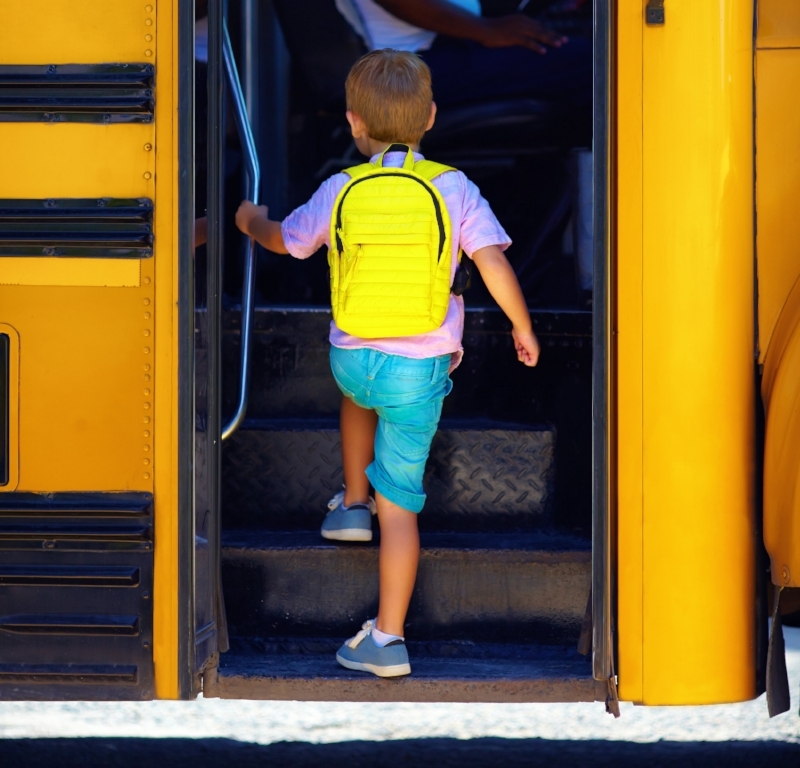 That letter explained that you should soon be receiving another letter from the Committee for Preschool Special Education (CPSE) notifying you that your child has been referred to the school-age program (CSE). It also explains that you are expected to participate in two parallel processes: 1. Applying to kindergarten by January 12, 2018; and 2. The kindergarten IEP process. Even if you feel that your child’s needs could never be met in your local public school or that your child is not ready for kindergarten, you are still asked to apply for kindergarten through the regular Kindergarten Admissions application portal. While not mandatory, many of us who practice special education law believe that it demonstrates your willingness to be open-minded and cooperate with the process. Remember: kindergarten registration closes on January 12, 2018. For the parallel kindergarten IEP process, you can expect a few things to occur. 1. You are encouraged by the DOE to attend a kindergarten orientation meeting for children with disabilities. Many of these meetings have already occurred, but there are a few more events scheduled for December. You do not need to RSVP for these events and the DOE does not (as far as we know) take attendance, although you can usually sign in at the school’s security desk. 2. You may be invited to an orientation meeting at your community school by your child’s CSE Review Team. These are the people who you will be working with you to create your child’s IEP. Try to attend this meeting if you are invited to one—but don’t be the squeaky wheel; just listen and learn what you can. 3. You will be contacted by the CSE Review Team to sign papers to give your consent to evaluations/observations of your child and to schedule a social history interview. Be diligent about cooperating with these requirements and use certified mail whenever you send any document to the DOE. When all this is done… it’s time to wait. In the late winter/early spring you will begin to hear back from schools and programs you may have applied to, and the DOE should contact you to schedule your Turning Five IEP meeting. More on all that in a later blog post! For (much) more information about the Turning Five/Kindergarten transition process, please see Regina Skyer's 2015 book, How to Survive Turning Five: The Handbook for NYC Parents of Special Education Children. Advocates for Children has also recently released the 2018 update for their kindergarten transition publication: Turning 5: A Guide to the Transition from Preschool Special Education to Kindergarten. The NYC Department of Education also publishes an annual guide: Kindergarten: An Orientation Guide for Families of Students with Disabilities Entering Kindergarten in Fall, 2018. Due to a booking error by the Brooklyn Conservatory of Music, the venue for our kindergarten transition workshop, co-sponsored by Music Therapy at BCM, on October 19th, 7-9pm has changed. Space is limited. So please RSVP if you have not already done so. A few years ago, our founding partner, Regina Skyer, published a handbook for parents, How to Survive Turning 5. And every year, the Law Offices of Regina Skyer & Associates, LLP hold free legal education workshops so that as many parents as possible can learn how to navigate the so-called “Turning Five” process in New York City. This workshop is designed for parents of preschoolers and interested special education professionals. We will go over independent evaluations, school applications, public program options, IEP meetings, hearings and appeal procedures, and more. We will also answer as many individual questions from attendees as time allows.